The MBC hit drama series The Moon that Embraces the Sun that the airing does not been affected by the strike of MBC union is expected to be inevitably affected by the 2014 FIFA World Cup qualification round. The broadcast of The Moon that Embraces the Sun may be canceled due to the 3rd round 2014 World Cup AFC qualification for Group B between South Korea vs Kuwait held at Seoul World Cup Stadium that is broadcast starting from 9pm on February 29th, 2012. An international football match inside the country is normally held at 8pm. In this timing, the earlier MBC sitcom High Kick 3! Counterattack of the Short Legs broadcast on 7.45pm is canceled. This time, due to the timing of the match, there is possibility that The Moon Embracing the Sun will not be aired. 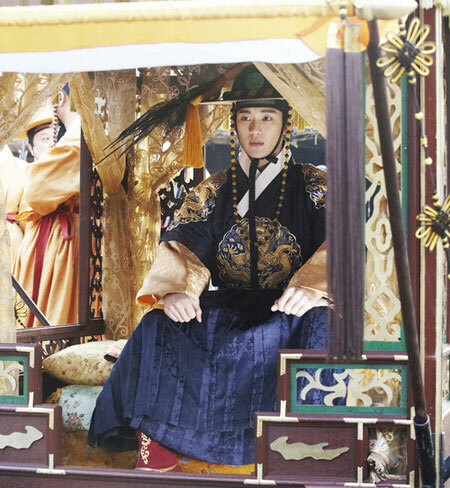 On the day, The Moon that Embraces the Sun will broadcast episode 17. There may be possibility to broadcast episode 17 and episode 18 back to back on March 1st, 2012, the Independent Movement Day holiday. With only 1 week left to the end of filming, there is also opinion to use the viewership ratings as the catalyst for the result of the timing. The Moon that Embraces the Sun has rose the rank of national drama. The drama has ranked among the top 5 of highest viewership ratings for TV series aired via free-to-air terrestrial TV stations since 2005. The drama that is about to breakthrough 40% is receiving increasing attention on what record it can set.